Kevin Hart believes in second chances. After benefiting from a great deal of second chances in his personal life, Hart is taking what he’s learned to the big screen. In the new ensemble comedy “Night School,” set to hit theaters Sept. 28, he plays a hustling high school drop-out that returns to school to get his GED. Hart, who wrote, produced and starred in the film, wanted to emphasize that you can always try again and get it right the next time, especially when it comes to education. Hart’s character Teddy accidentally blows up his workplace and realizes that in order to get another job, he’ll have to graduate high school. Returning to his alma mater, he meets Carrie, an unorthodox, no-nonsense teacher played by Tiffany Haddish, and a group of other students determined to make the most of their second chance. The ensemble led by Hart and Haddish is expertly cast, creating a diverse and cohesive group of misfits. Rob Riggle, Mary Lynn Rajskub, Anne Winters, Romany Malco, Al Madrigal and Joseph Cartagena (better known as the rapper Fat Joe) make up the night class, all with their own reasons for starting over. Leading the pack is Haddish, as the dedicated and overworked teacher that cares deeply about her students but also expects the best out of them. Haddish is one of the few stars today that could not only hold her own during the quick back- and-forth that Hart is known for, but repeatedly steal the scenes. With Hart and Haddish, they each seem to have met their comedic match, making their interactions integral to the film. 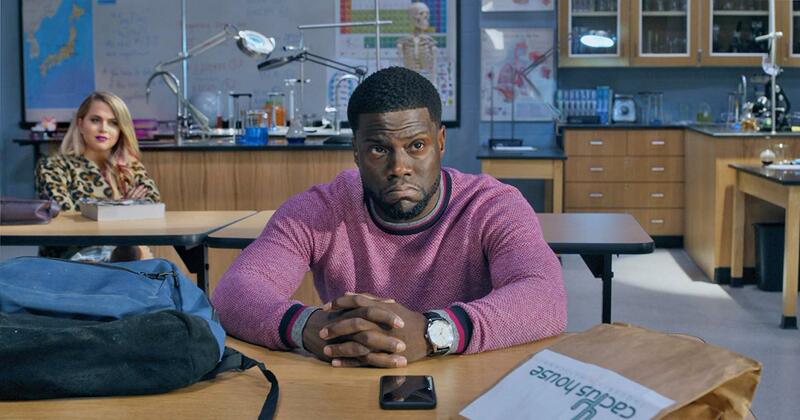 “Night School” is consistently laugh- out-loud funny with an important message at its core. As a writer, Hart captured the journey of the characters in order to place a focus on the importance of education. Although Hart personally enjoyed his time in school, life experience has proven to him the impact that education can have on one’s life. Navigating his career through trial and error, Hart has begun to truly understand that knowledge is paramount. As Hart travels the country promoting the movie in real high schools, like DRW College Prep on the West Side where he surprised students on Thursday, Sept. 13, he wants to emphasize that their time as students is integral to who they are now as well as who they will become.